Everyone is preoccupied with the election results, what to do with leftover Halloween candy* and which Hartford roads are closed this week. If you are looking for an opportunity to get involved locally, a great way to be a part of the action is to volunteer, attend a meeting or join a committee or board. The next meeting of your NRZ will be Wednesday, November 16, at 6 pm, on the second floor of the Amos Bull House, 59 South Prospect Street. 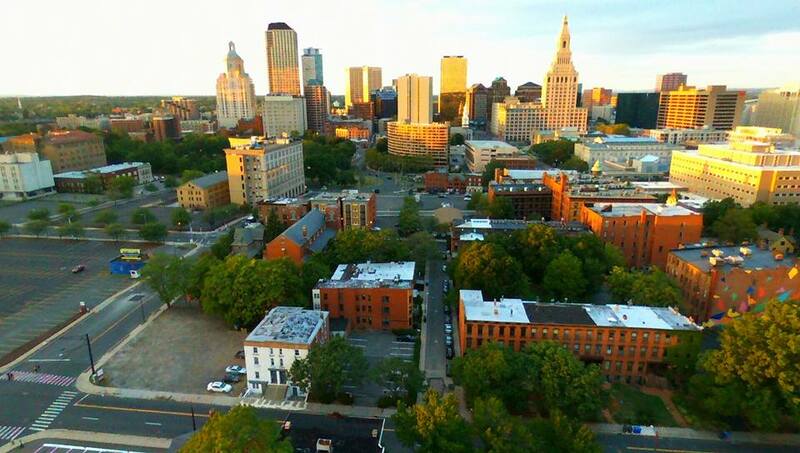 Aerial shot of the northeast corner of South Downtown, looking north from the steeple of South Congregational Church on Main Street. Photo courtesy of Jeremy Howard.